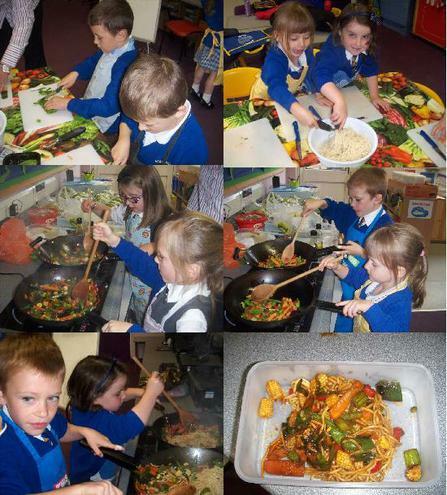 We made some lovely Chinese stir fried vegetables in Cooking Club. First we had to chop up all the vegetables and cook them in a wok. We added some sweet chilli sauce to it all.